Barcelona line-up: Pinto, Montoya, Piqué, Bartra, Jordi Alba, Busquets, Song, Iniesta, Neymar, Cesc Fabregas, Alexis Sanchez. Barcelona knew they had quite a difficult task in beating Villarreal at the Camp Nou this past Saturday. The visitors, who have indisputably been one of the best Spanish teams in La Liga for the past few years, would have reached 4th place in the standings right below Real Madrid, had they won the match against Barça. 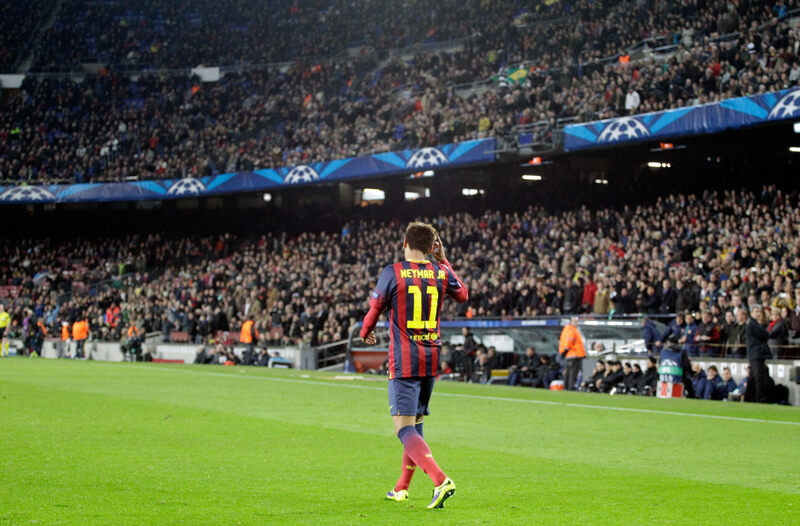 It’s more than obvious that Tato Martino has been relying on Neymar‘s virtuosism during this long Messi‘s absence. The Brazilian super star saw his influence on the team rising significantly and lately he has already been capable of showing off his quality and potential game after game. Just like against Celtic Glasgow in mid-week, Neymar managed to make the difference and deliver the 3 points to Barcelona. The first goal came in close to the first half of an hour, just after Sergio Busquets found Jordi Alba with a long ball that switched sides and the full-back tried to send it through to Villarreal‘s box with a difficult first touch. The former Valencia player saw his pass being blocked by Villarreal defender’s arm and as a result of that, he immediately earned a penalty-kick. 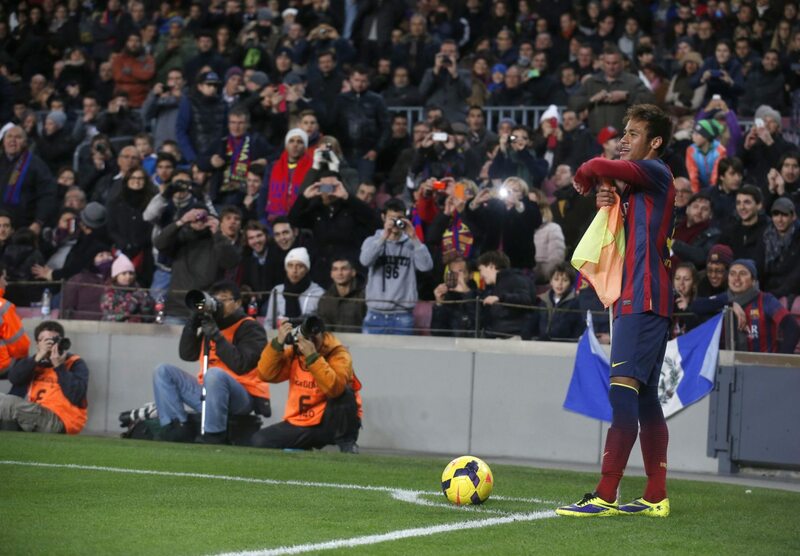 Neymar stepped in to take it and wouldn’t miss the chance to break the opener at the Camp Nou. The winning goal was scored in the 68th minute and it was brilliantly produced by Cesc Fabregas, Alexis Sánchez and Neymar. The formar Arsenal midfielder picked out Alexis in the box with a great cross and the Chile international managed to control the ball with either his chest turned down, just before assisting Neymar for an easy tap-in towards and empty net. 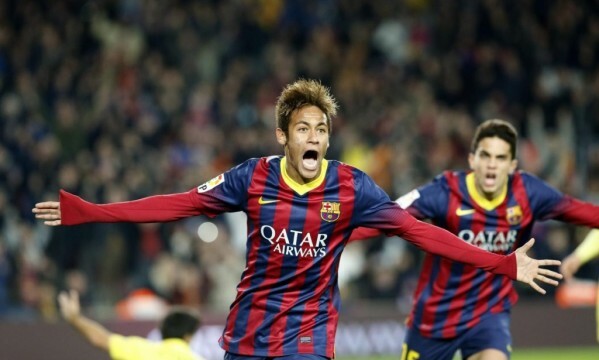 2-1 for Barcelona and the 5th goal for Neymar in the last 2 games!